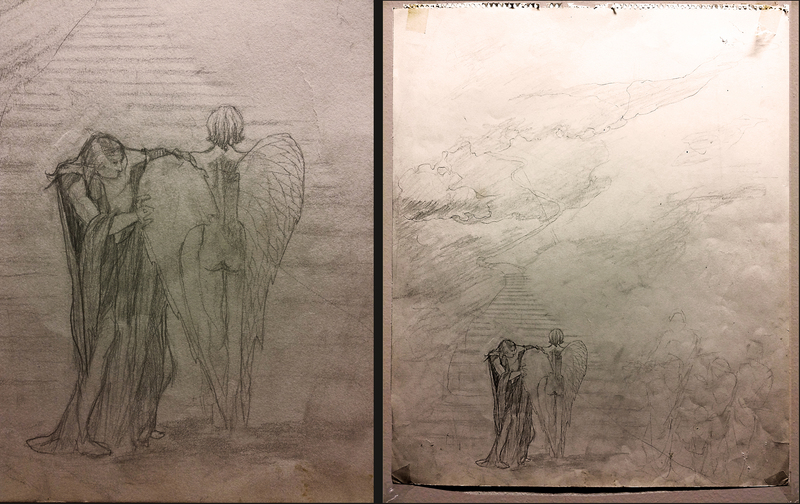 1973, from the time when I fantasized big paintings, through small sketches. TO find the bright way, to find the path that leads to greater awareness! TO balance on the line, the thin thread that ranges through life and time, through all the storms, all unexpected living space without losing balance … anyways without falling, it has always been a stunning reality for me… from my time as a kid right up to this day! I see that we as well as float like balloons after ourselves, our consciousness is not integrated with our physical existence. No wonder it’s perplexing to ’’do the walk’’ through life!